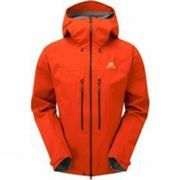 Informations about "mountain equipment tupilak jacket"
Having searched the market for the cheapest buy prices, 33 offers were found for comparison. Furthermore, a large number of article in 30 relevant categories with a price range from £283.95 to £415.64 were found. About "mountain equipment tupilak jacket"
Overall, our search showed 4 different shops for your product "mountain equipment tupilak jacket", including exxpozed.com, trekkinn.com (UK), ellis-brigham.com and cotswoldoutdoor.com. If you would prefer an item from a particular brands, you can find 2 shops for this product. If you have not yet made a decision, you can also filter your favourite producers and choose between 2 manufacturers. The most offers (15) were found in the price range from £310.00 to £319.99. Furthermore, other users were also interested in the following product: Mountain Equipment Womens Jacket, Mountain Equipment Fleece Jacket and Mountain Equipment Lightline.